The makers of JUVÉDERM®, JUVÉDERM VOLUMA™, and JUVÉDERM VOLBELLA™ have created an advanced solution for moderate to severe facial wrinkles, particularly those that run from the nose to the mouth. Known as nasolabial folds or “parentheses lines,” these creases can make a person appear stressed, tired, and older than their age. The unique formula of JUVÉDERM VOLLURE™ plumps the targeted area for a more youthful look instantly. If you’re bothered by deepening nasolabial folds, our experienced dermatologist, Deborah H. Atkin, MD, can determine if FDA-approved JUVÉDERM VOLLURE™ is right for your cosmetic goals and unique needs. Like other JUVÉDERM® products, JUVÉDERM VOLLURE™ is comprised of hyaluronic acid, so allergy testing is not necessary. What makes this dermal filler distinct from other brands is the VYCROSS® technology, which gives the gel formula a firm but flexible consistency that allows Dr. Atkin to softly and subtly smooth wrinkles around the mouth with exceptionally natural-looking results. JUVÉDERM VOLLURE™ is appropriate for patients 21 years of age or older, and the effects can last up to 18 months. If you love the way JUVÉDERM VOLLURE™ makes you look, occasional repeat treatments can extend the length of the benefits. 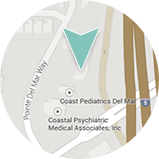 As with every procedure at Dermatology & Laser of Del Mar, your safety and comfort are top priorities. Dr. Atkin will listen to your concerns, discuss your goals, and evaluate your needs to create a personalized treatment plan. She will then administer JUVÉDERM VOLLURE™ into a series of targeted areas around your nose and mouth. Results should be instantly visible. JUVÉDERM VOLLURE™ includes a local anesthetic to provide exceptional comfort during treatment, and we can provide cold compresses to further enhance your experience. We also utilize ultra-fine cannulas to maximize your comfort and minimize bruising. Once complete, you should be able to return to your normal activities immediately. Length of Time for Procedure – Treatment time can be as brief as 30 minutes or less. Depending on the number of injection sites and length of consultation, your visit may be longer or shorter than this estimate. Who Will Perform This Procedure? – Dr. Atkin performs all dermal filler treatments. As a board certified dermatologist, she feels it is in the patient’s best interest for a trained physician to provide the injections. What Is the Recovery Time? – Most patients experience very little if any downtime. Some bruising, swelling, and tenderness in the targeted areas is normal, and these effects should fade in a day or two, often less. Makeup can be worn to cover these symptoms. Final Results of the Procedure – Instantly smoother, more youthful-looking skin from the nose to the mouth and anywhere else the injectable is administered. JUVÉDERM VOLLURE™ can achieve natural-looking effects without the appearance of having anything “done.” You will look like you, only with softer, less noticeable lines. Results typically last up to 18 months and can continue with regular maintenance treatments. The entire family of JUVÉDERM® products offers focused treatment for a wide range of common signs of aging. Additionally, cosmetic injectables like BOTOX® Cosmetic may be helpful in minimizing facial fine lines and wrinkles. Non-invasive topical skincare products can also enhance the quality, texture, and tone of the skin for a more youthful look and feel. 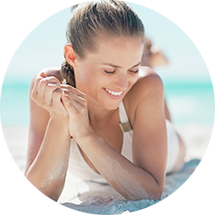 Would you like to learn more about JUVÉDERM VOLLURE™? Contact our practice today for more information about this innovative dermal filler and to schedule a consultation.